After the1st wave, only darkness remains. After the 2nd, only the lucky escape. And after the 3rd, only the unlucky survive. 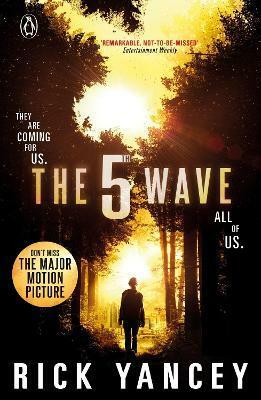 After 4th wave, only one rule applies: trust no one. Now Cassie must choose: between trust and despair, between defiance and surrender, between life and death. Rick Yancey (http://www.rickyancey.com) is the author of several adult novels and the memoir Confessions of a Tax Collector. His first young-adult novel, The Extraordinary Adventures of Alfred Kropp, was a finalist for the Carnegie Medal. In 2010, his novel, The Monstrumologist, received Michael L. Printz Honor, and the sequel, The Curse of the Wendigo, was a finalist for the Los Angeles Times Book Prize.